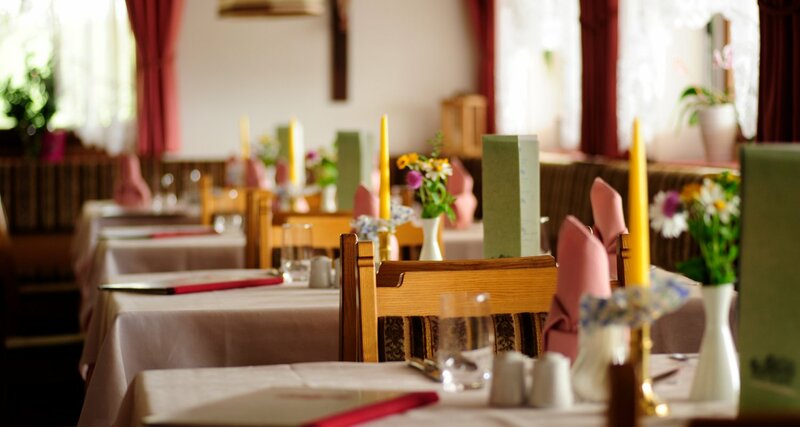 The Hotel Restaurant Oberwirt in Vöran is a restaurant for everyone. For guests as well as for locals. For couples, but also for families with children. 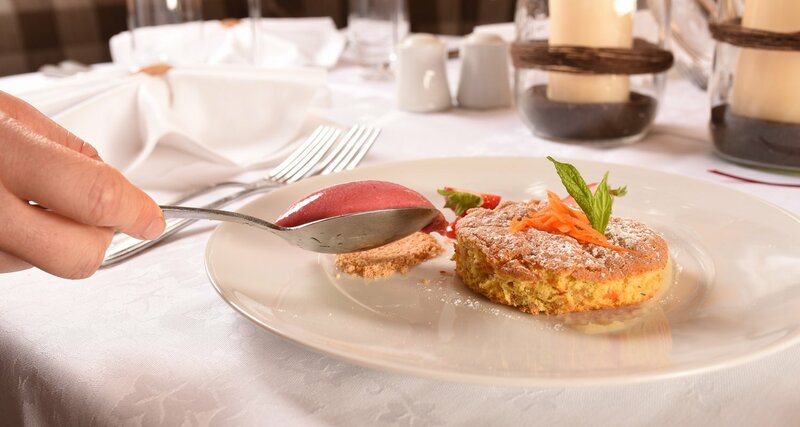 Let yourself be pampered with culinary delicacies – in our comfortable restaurant or on the sunny terrace! 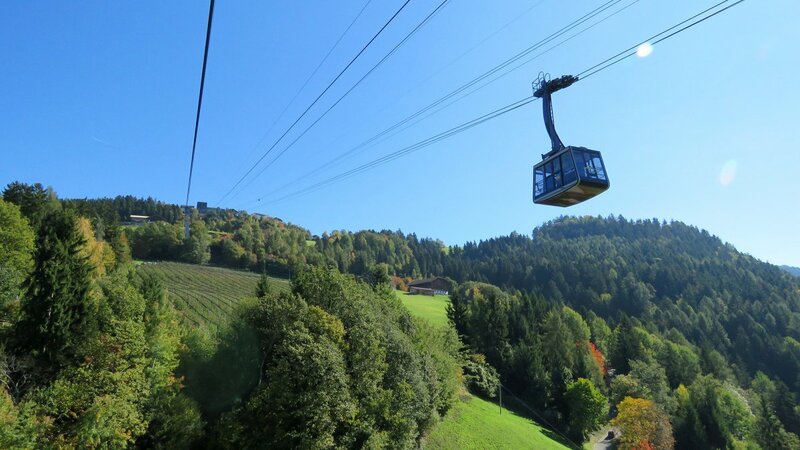 Traditional South Tyrolean specialities. Italian classics. Seasonal creations. 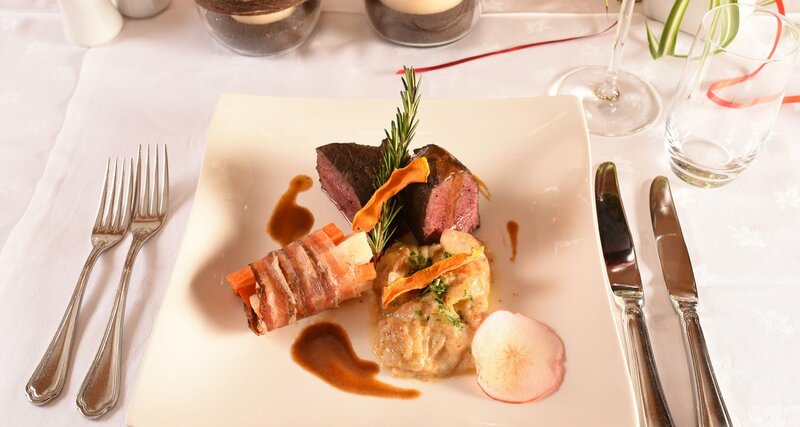 Whatever you are looking for: you will always find the right dish here. For our kitchen staff it is very important to use healthy products – or from the own garden or from the immediate neighbourhood. 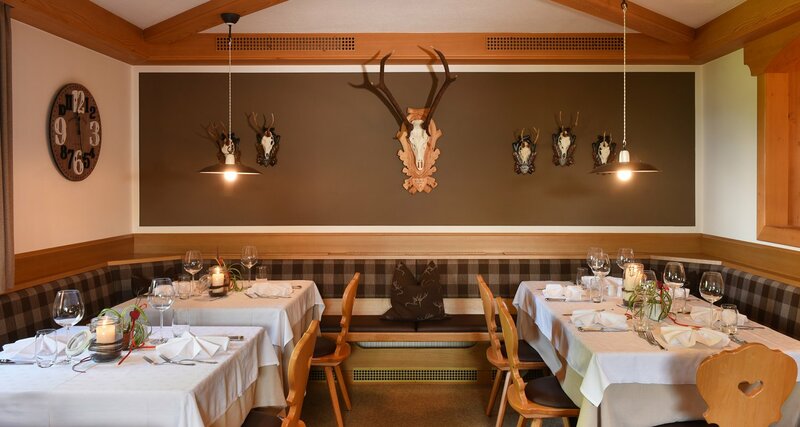 Our large and traditionally furnished dining room and the panoramic terrace with a view over the South Tyrolean mountain world provide enough space for every occasion. Obviously also your little ones will be delighted. Specially created children’s meals let your kids’ eyes shine bright! snacks and tasty, home-made cakes. You would like to make a lovely present to somebody? What about a voucher of a very special kind? 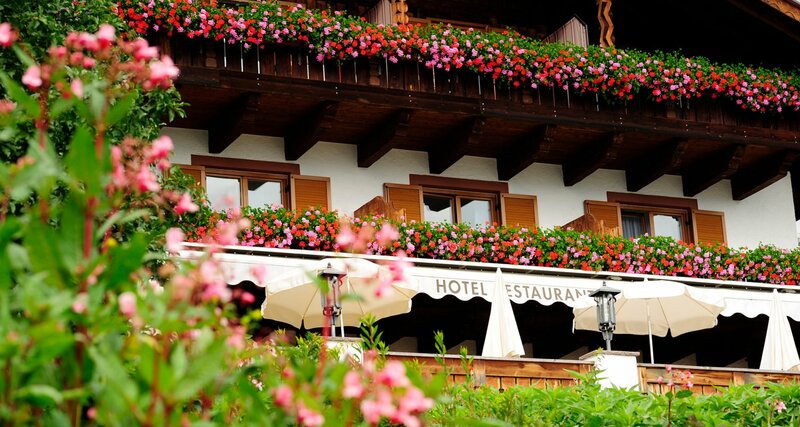 For a romantic candle light dinner or a South Tyrolean breakfast? Order now!